The Westminster Foundation is a not-for-profit organization that supports Presbyterian Campus Ministry at state colleges and universities throughout West Virginia. It serves more than 50,000 students annually, provides salaries and programming funds for campus ministries at West Virginia University, Marshall University, West Liberty University, Fairmont State University, Pierpont Community & Technical College and Shepherd University. The foundation also works with the campus ministry at Davis & Elkins College in Elkins, the state’s only Presbyterian-related school. The mission of the Westminster Foundation of West Virginia is to provide support faith communities for college and university students on or near campuses in West Virginia, help congregations fulfill their baptismal covenant with college and university students, and give witness on campuses to the Christian faith grounded in the reformed tradition while respecting and building ecumenical and interfaith relationships. Members of the Presbyterian Student Fellowship at West Virginia University has a history of leading worship at First Presbyterian Church, Morgantown. 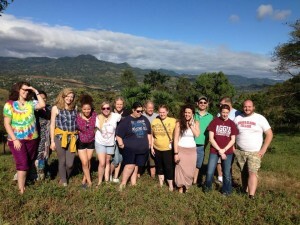 Students spend weeks studying scriptures, learning about the congregation, selecting music, writing prayers and creating the mountains that were used in worship. The focus has been on mountaintop experiences — places where we have felt close to God. 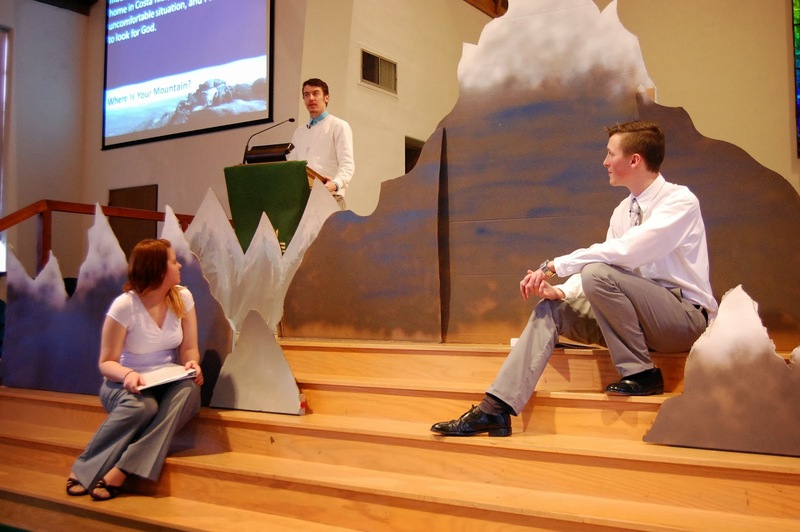 Students lead all aspects of the service, including liturgy, children’s time, sound system/PowerPoint and preaching. 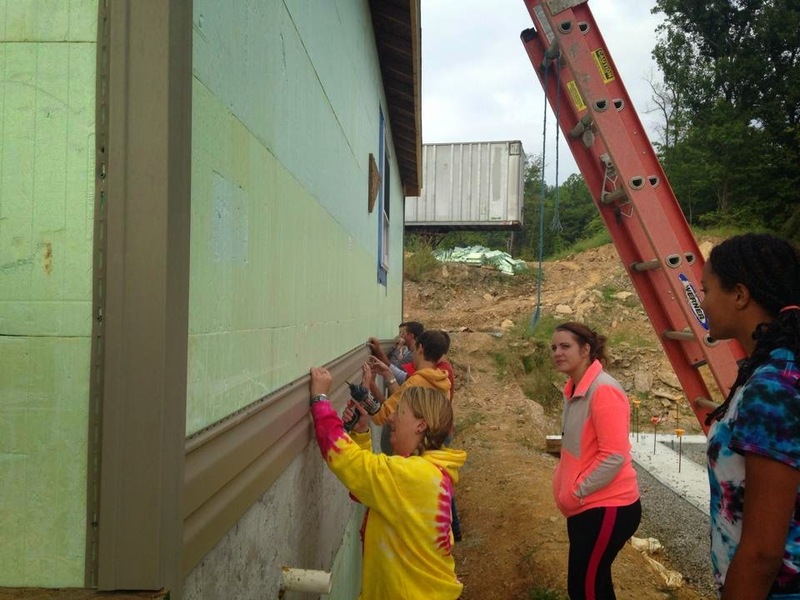 This fall, members of the Presbyterian Student Fellowship dedicated a weekend to serving the Greater Morgantown community. On a Friday evening, they volunteered at Habitat for Humanity as part of Building on Faith Week. On Sunday morning, students gathered bright and early (7 a.m.) and prepared breakfast for anyone who needed a warm meal. They prepared pancakes, eggs, sausage, biscuits, gravy and hash browns. “Where God and Life Meet” is how campus ministry is better known on the hilltop of West Liberty University. Fusion’s goal is to develop Christian Disciples by calling students into deeper, personal relationships with Jesus Christ, training them to become servant leaders and sending them out to serve God. So how does one accomplish this? They gather for worship and Bible Study, share meals, reach out to the world through service projects and mission work and simply kick back. Nineteen-year-old Jake Persinger recalls his freshman year and anxiety worrying about where and how he would fit in at WLU. A turning point for him was when he attended worship and got his first taste of Fusion. Campus ministry fills a void during the most impressionable times in the lives of students. 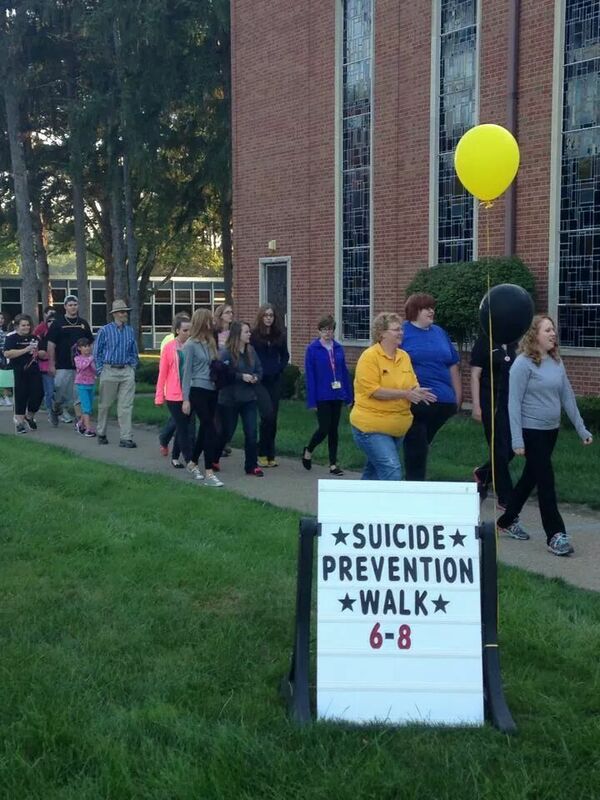 When local churches, parents and campus ministry join together, without a doubt it makes a difference. Connections understands itself as a spiritual community whose primary purpose is exploring the many facets of spirituality — lived experience and practice of faith. Among the many practices that are valued as central to faith is care for and appreciation of creation. Each year Shepherd University tries to include at least one event that immerses it in the natural world. 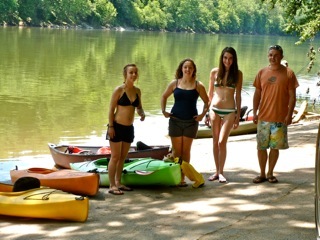 Last year, Shepherd’s final gathering was a day-long paddle on the Potomac River where the students reflected on their year together, the season of rest before use and their community with not just each other, but all of creation. We Are… Marshall UKirk! UKirk — meaning University Church — is a national network of Presbyterian Church (U.S.A.) collegiate ministries focused on reaching, loving and teaching college students so they may be lifelong followers of Jesus Christ. This ministry, formerly known as P.R.O.W.L. (People Reaching Out With Love), is welcoming to all Marshall students who are looking for a community of faith — and who desire to build relationship with other college students through honesty, prayer and fellowship. 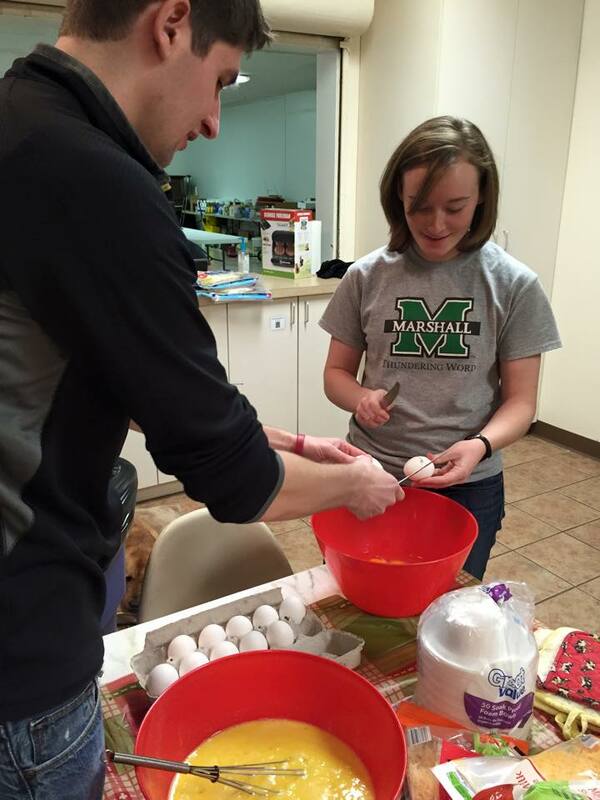 Since this ministry began, 38 students have gone on to seminary after graduating from Marshall, and many alumni are active and productive members of their own congregations. Several churches in the Huntington area provide generous financial support for Marshall UKirk and several members of the congregation participate actively as members of their local c ommittee. Marshall UKirk meets when classes are in session on Monday Nights at 8:30 p.m. at the Campus Christian Center (CCC). The CCC is located next to the Marshall Student Center on the corner of Fifth & 17th streets. Our schedule is unique from the other Marshall Campus Ministries — we do something different every week! First Monday of Month — Bible Study; second Monday of Month — Meal & Worship; third Monday of Month — Service/Outreach project; fourth Monday of Month — Fellowship (on or off campus). The Marshall students also participate in the annual College Conference at Montreat Conference Center. For more information or to contact the Campus Minister, please find us on Facebook or visit our website here. Davis & Elkins is West Virginia’s only institution of higher education that is officially affiliated with the Presbyterian Church (USA). Recognizing the inherent human need to nurture the spirit that is found within every human being, the college has established the goal of strengthening spiritual life on campus as part of its five-year strategic plan. Working through the Chaplain’s Office, under the guidance of Benfield-Vick chaplain Rev. 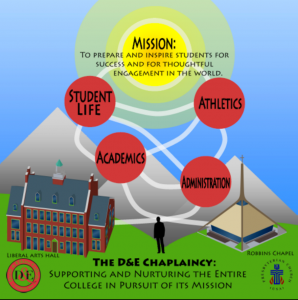 Kevin Starcher, D&E is using the following model to help understand the role of the chaplain and spiritual life as it is integrated into the whole life of the community. To kick off the start of a new academic year, all freshmen take part in a service project assembling hygiene kits for distribution to families and individuals in need. This action was an attempt to embody the value that at D&E service to others is a core aspect of its identity. There’s also a Bible Study on Sunday mornings at the local coffee shop where students can come for study — and a bagel and coffee — for free. This successful ministry is a joint venture with Davis Memorial Presbyterian Church, which is subsidizing the cost of the breakfast for students. Finally, the college has joined a consortium of other independent colleges called the Network for Vocation in Undergraduate Education (NetVUE). NetVUE is a nationwide network of colleges and universities formed to enrich the intellectual and theological exploration of vocation among undergraduate students. 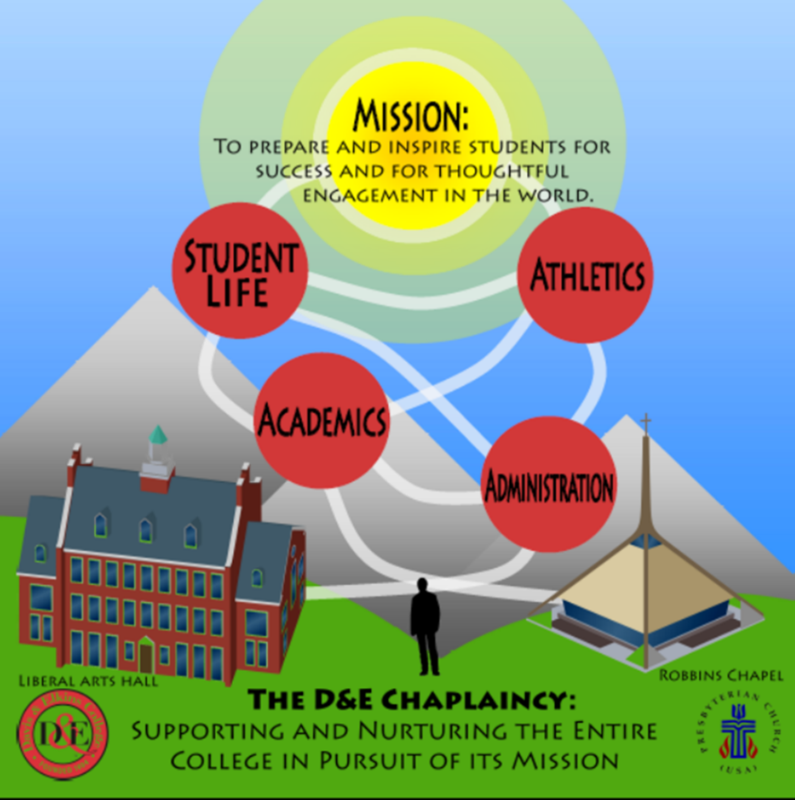 D&E has been working as an institution to embed a vocational understanding of education across its campus and will be rolling out new initiatives over the next few years to help students ask and answer questions of deep meaning and purpose – questions that often lie at the heart of spiritual life.